What are your thoughts on this weird black big zero? My understanding was that black big zeros should have silver hands but it surprises me that these ones seem to be the correct length and shape for a big zero despite being this white skeleton style. 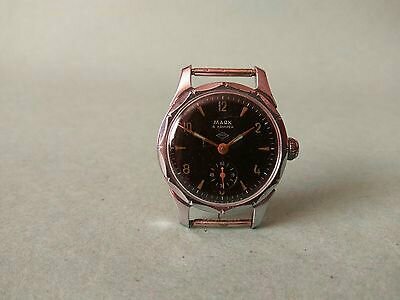 A bit of searching around shows other examples that are the same but given how often this watch is frankenned that doesn't give me much confidence. I agree with the majority of yor comments, but the I usually use Generalskie only for the 09X case. I use Komandirskie 92X for the round one (it is still produced today) as I use for example Komandirskie 52 (also with an automatic movement). 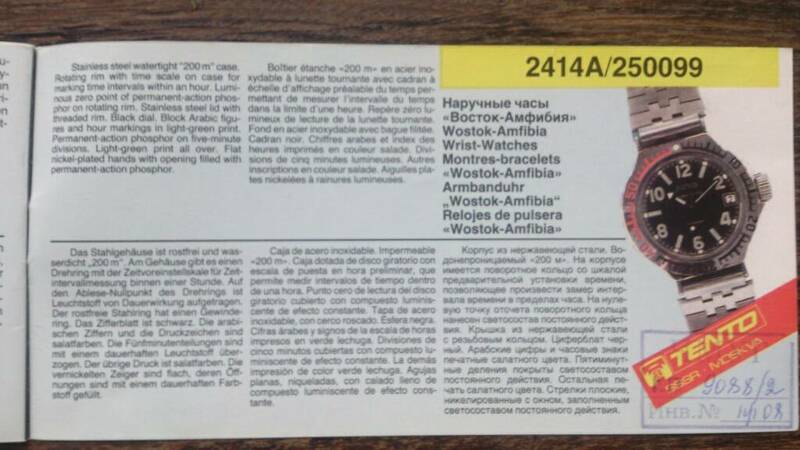 The back inscritions are common to basicly all the automatic Komandirskies, the caseback could have also the Imperial Eagle, not only the Orca. Last edited by Lol965; September 22nd, 2017 at 21:35.
mroatman and MattBrace like this. Go with your gut -- the skeleton hands are not correct. I would keep looking. The catalog and mine for comparison (my crown is replaced; the one for sale is correct). 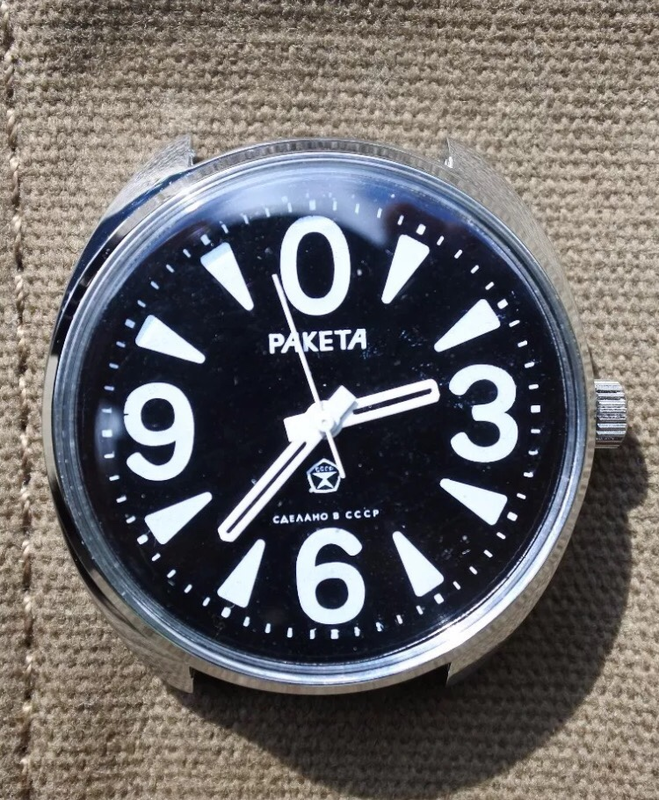 Affectionately known as the "Lugs on the Bum Vostok"
I just bought new watch. It was impulsive buy without any real analyze. I saw something similar once in Dashiell collection and I really liked it. But now I can see that case is a bit strange. Any ideas? If you are creative or know someone with access to some basic tooling, I think you could create your own version of these lugs. 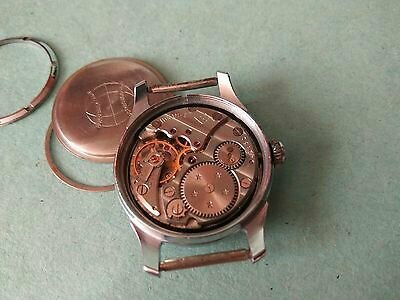 Or you could also just thread some heavy string/twine/leather through the hole and make a sort of bracelet from the watch. XsiOn and cptwalker like this. Somebody's grandma, somewhere, would pay good money for this bracelet.